Let’s talk about selfies for a minute — or, you know, pictures you take of yourself. Apparently yes, kids these days spend a good portion of their free time taking selfies. I wonder, is it a ‘bad’ or ‘good’ thing? While the jury is out, I believe it’s certainly worth reflecting on. If you have any form of social media, chances are you’ve seen them on a regular basis. Instagram/Twitter/Facebook are being crushed under a bonanza of selfies. I just checked to see how many photos have been uploaded to Instagram under #selfie. Would you like to know how many photos there are? 239,954,122 photos. Yes, there are almost 240 million selfies on Instagram alone. People smiling in their smartphone lenses or, more likely, striking a pose with an intense look on their face — as if they’re telling you they have some deeper motive and you don’t know the half of it. Of course, the self-portrait is not a new thing. However, how long did it took to paint a self-portrait? Weeks? Months? But we live in the age of smartphones and all it takes is one click to show the world what we’re up to. Plus, A-list celebrities are doing it, so why shouldn’t we? Heck, I’ve even taken a selfie or two. However, they’ve been quite grim, usually with me making some ominous, perplexed face. They almost all ended up in the trash. I guess what I’m questioning is if selfies are really just a fun way to show the world what you’re up to or if instead they’re a way to ask for some sort of validation. I believe narcissism definitely plays a big part, but my fear is that it may also screams insecurity. I know for a fact that some people feel crushed when nobody likes their selfie. While they feel elated when a group of strangers tell them that they’re GORGEOUS. That’s why people tend to be very selective about what they post. It’s rare to see a selfie of somebody stuffing their face with a Big Mac and large fries, while snapshots of people sipping a green smoothie are pretty popular. I don’t think I’ve ever seen a selfie of somebody making the laundry, instead #EpicNightOutWithDaLadies are everywhere. But unless you’re some sort of socialite, your life (just like mine) is made up more of laundry-moments than glamorous-moments. It’s real and awesome in its simplicity, definitely better than a fabricated version of the perfect existence. Even though if I’m not big on on selfies, I still I think that an odd photo of ourselves taken on our phones won't do us much harm. It could be fun to capture a moment of our life when there's nobody else around to play cameraman. What we need to ask ourselves is: have we taken it too far? How many selfies a day is it okay to take? 1 maybe 2? 20 it’s definitely too much — no one’s life is that exciting or interesting. For instance, Niece has definitely taken it too far. It’s out of control. My sis says it’s just a phase and she’s just waiting for it to be over too — still I know she’s keeping a close eye on what her daughter is doing on her phone. As with most things in life, the key is moderation. I am definitely not saying that selfies should be banned, or that we should start chasing with a pitchfork those who go a little overboard on the selfies. What I am saying here is that we need to think more about why we're doing it. As for me, I’ll just continue take selfies of food. Not really selfies then, more foodfies. Okay, let’s say pictures of food. Selfie-addict-Niece said that this Spicy Basil Lemon Chicken looks like an armadillo. A delicious chicken armadillo. Is that weird? No, it’s not weird. It’s awesome. Selfie-worthy awesome. What I like about this dish is that it’s so simple and quick — done and ready in your mouth in 20 minutes flat. But more importantly, that it’s juicy, tender, lemony, garlicky, with a bit of heat, and a giant punch basil freshness. Now that’s one beautiful bomb of yummy chicken. I may even take a selfie with it. Naaah, just kidding. Spicy Basil Lemon Chicken Print this recipe! Heat 4 tablespoons of olive oil in a small saucepan over medium heat until shimmering. Add garlic cloves and cook for about 2 minutes, until fragrant. Remove from the heat, add red pepper flakes, and set aside. 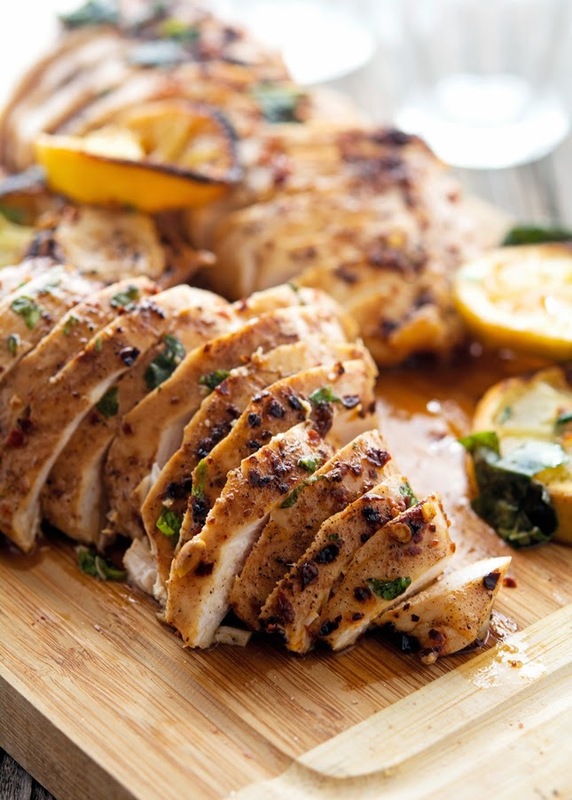 Season the chicken breasts with salt and pepper and place them in a large baking dish (or cast-iron skillet). Add garlic-infused oil and turn the chicken to coat. 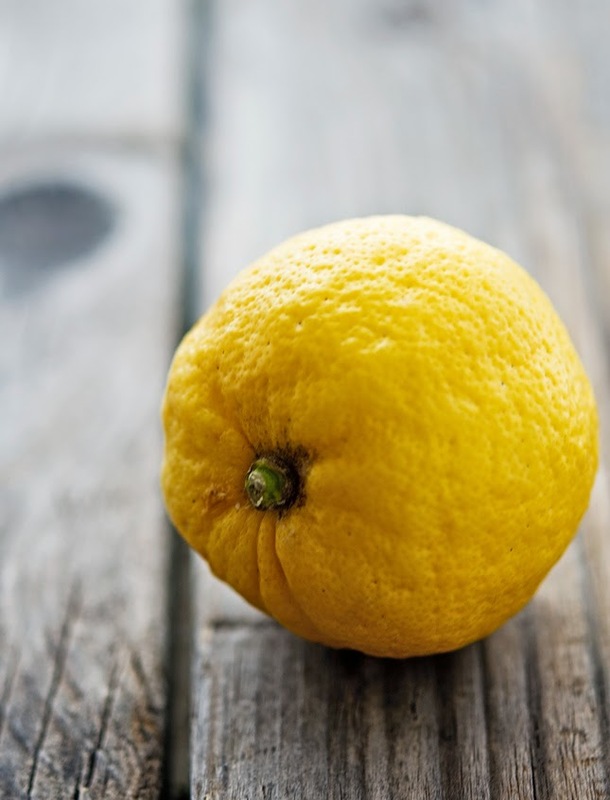 Cover with lemon slices and drizzle with the remaining tablespoon of olive oil. Set the oven to broil and place a rack in the upper third of the oven. Cook the chicken for about 15 to 20 minutes (or until the temperature registers 165°F on an instant-read thermometer.) Cooking time depends on how big the chicken breasts are and how hot is your oven, the most important thing is that the chicken is cooked through. Once cooked, transfer to a rack and let cool for 5 minutes. 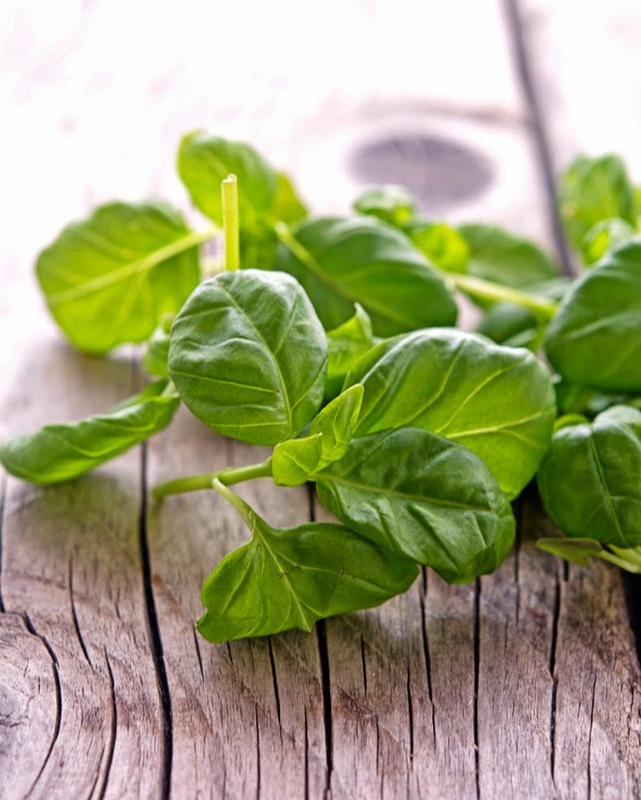 One serving yields 300 calories, 16 grams of fat, 4 grams of carbs, and 36 grams of protein. Foodfies for LYFE. I am so not big on the selfies trend. I don't really need to see 10000 picture of someones face. But I do want to see 10000 pictures of food. Specifically this chicken because, well, YUM. Pinned! I was reading this and thinking, well these food pics are sort of like selfies in a way. Glad you came to that conclusion too, and I love the expression foodfies. I am always too embarrassed to post selfies personally. They make me a bit squeamish. I appreciate them though, especially if the person posting them clearly doesn't take themselves too seriously. This chicken is amazeballs by the way. Love!! Hahahaha yes, I love when people add random hashtags to their selfies in an attempt to get more likes. Such as #paleo or #vegan or #vegetarian. I would love to ask them: "Please tell me, what constitutes a paleo/vegan selfie? I'm curious to know..."
I'm truly in love with your blog! You have a great collection of recipes, I'm sharing them here and there ! and this chicken looks so so good! I despise tagging my sister in instagram photos because she epitomises a selfie gallery. I think for some, its validation for others....actually, I don't know. Sub validation? I continually convince myself I'm not a fan of chicken (Well out of all the proteins...I love chicken!) but your pictures or food selfies convince me otherwise. Another winner! KEEP TAKING FOODFIES, PLEASE! Loving this fresh recipe today. Makes me really want spring weather sooner!! I think that as wolfs the only acceptable selfies we can take is one where we hold a prey (such as a chicken) in our jaws. Other than that, it's not acceptable for us to take selfies. Heck yeah - you should totally take a selfie with this chicken! 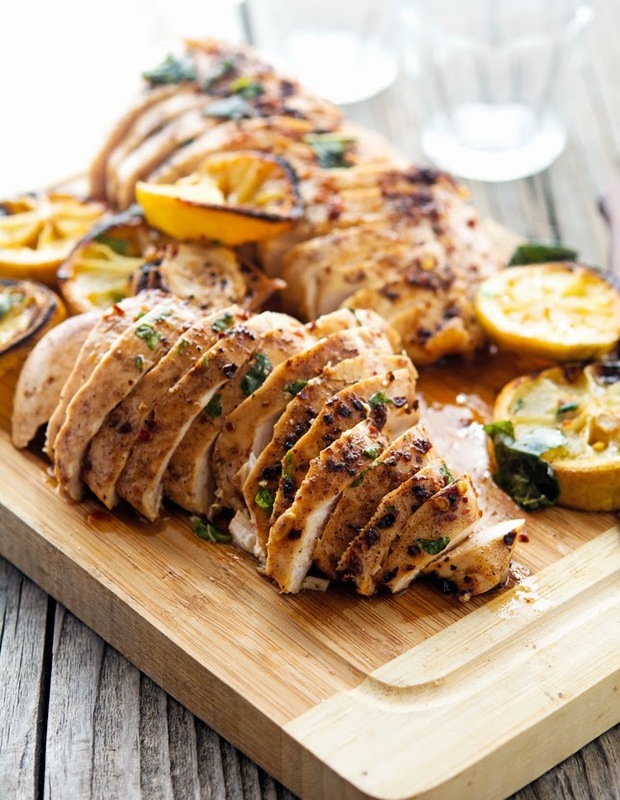 I love the lemon and chicken combo - adding basil to it sounds so darn good! Sometimes I am glad I never had kids, I find it that nowadays it is really super tricky to deal with the delicate balance between virtual and real. Love simple ways to jazz up chicken breast, the hubby really hates them plain! 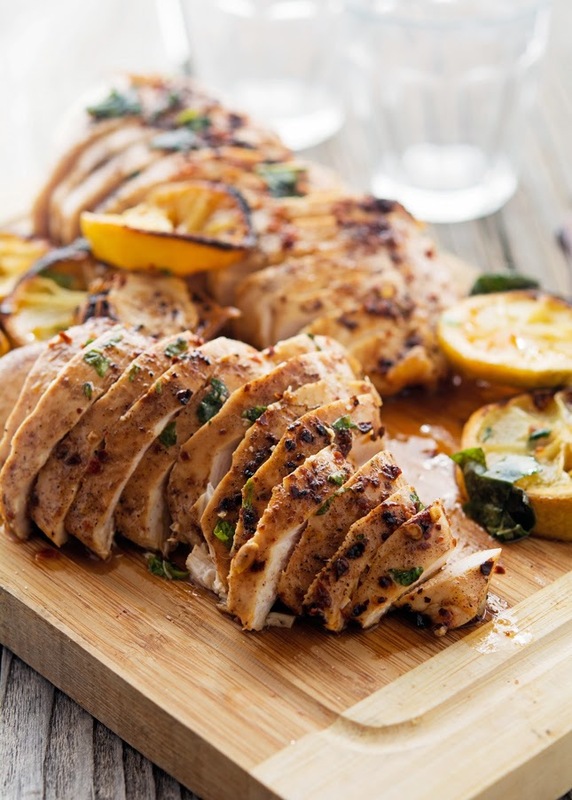 your chicken looks perfectly cooked Mike, love this recipe! Looks delicious. Will definitely be using this recipe. I need to try this recipe, it looks amazing!! Hi Mike, I'm really liking your recipes and even tried two of them this weekend - this chicken recipe and the ricotta fritters with marinara - both were amazing. I loved the lemons and the garlic-Infused oil, my husband liked it so much he even are the crispy lemons with his chicken. The only issue I had was that the chicken was a tad bit dry, I'm guessing I left it too long, but I'll take any suggestions from you. Looking forward to trying more recipes this weekend! Great recipe! The combination of citrus and herb complimented each other very nicely. I threw everything into a ziploc bag and let it marinate for about 4 hours. 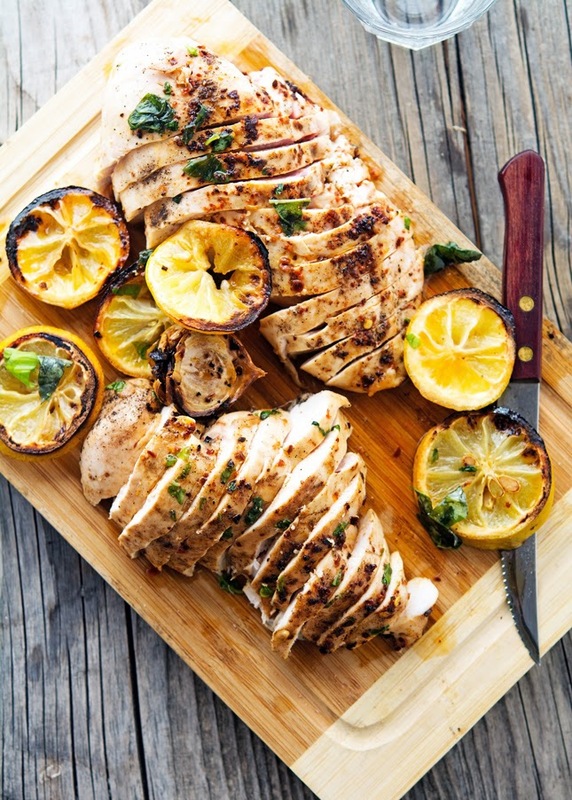 The result was a light, lemony grilled chicken with a hint of basil. This was so easy to put together for a weeknight meal and went great with grilled potatoes and baked tomato slices!